Nice finding. Here's the direct link to the excerpts you quoted Local assembly of Toyota Fortuner commenced in Pakistan CKD duty in Pakistan is not exactly 40%. It varies between 32.5% and 50%. Here's another link. Look at the bottom of the article. That's what we have been arguing all along that if Corolla could be cheaper than other countries then why not Fortuner? Daily Times - Leading News Resource of Pakistan Following is a snippet from this article. The price comparison is almost similar to what I posted in my review. "Busting the myth that new car prices in Pakistan are highest in the region, he said that the factual position is that the prices of the locally manufactured car brands are lower than the prices of similar brands made in region and other countries. He said that Toyota Corolla basic has RSP (less taxes) of approximately Rs 1.69 million in United Arab Emirates whereas similar Toyota model (XLi) has RSP (less taxes) of Rs 1.01 million when made in Pakistan. Corolla top’s RSP (less taxes) in UAE is Rs 1.95 million while Corolla Altis (full spec) in Pakistan has RSP (less taxes) of Rs 1.38 million." "The import duty for cars which have engine displacement higher than 1.8-litres is 150% making the Fortuner a distant dream to many SUV lovers. In order to evade the import duty, Indus Motor Company, the local partner of Toyota, has started importing the SUV as CKD kits which are then assembled locally. The move reduces the import duty by 40% out of which Toyota has decided to pass on around 37% to the customer. The local assembly has made Indus Motor Company (IMC) the only automaker to locally assemble SUVs which cost beyond 5 million Pakistani Rupee. IMC has been constructing the facility for the last 3 years and has invested around 5 billion Pakistani Rupee (around 277 crore rupees). 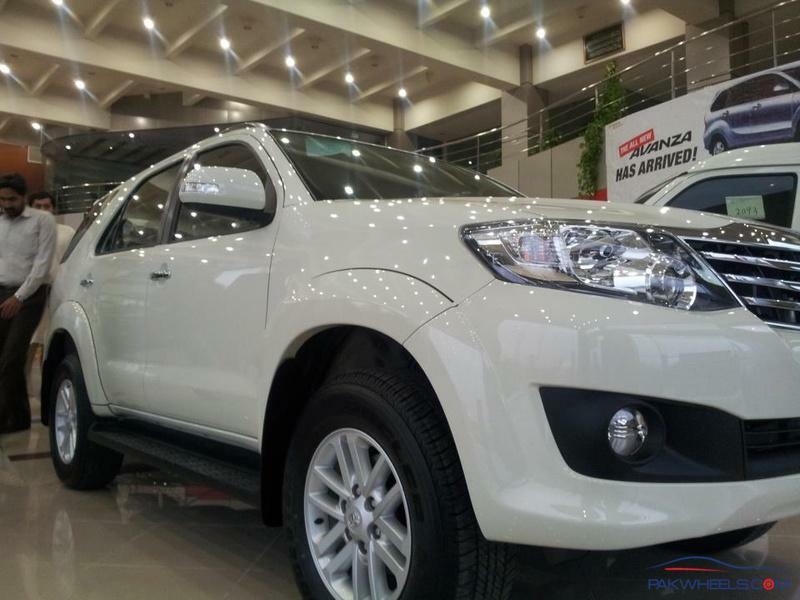 Toyota has revised the price of the Fortuner following the local assembly. The new price is 5.17 million Pakistani Rupee (around Rs. 28.67 lakhs) while the price of the imported unit stood at 8.2 million Pakistani Rupee (around Rs. 45.44 lakhs)." wanna ask IMC where they import the CKDs from? Any update on Fortuner? Anyone booked or got a delivery yet? 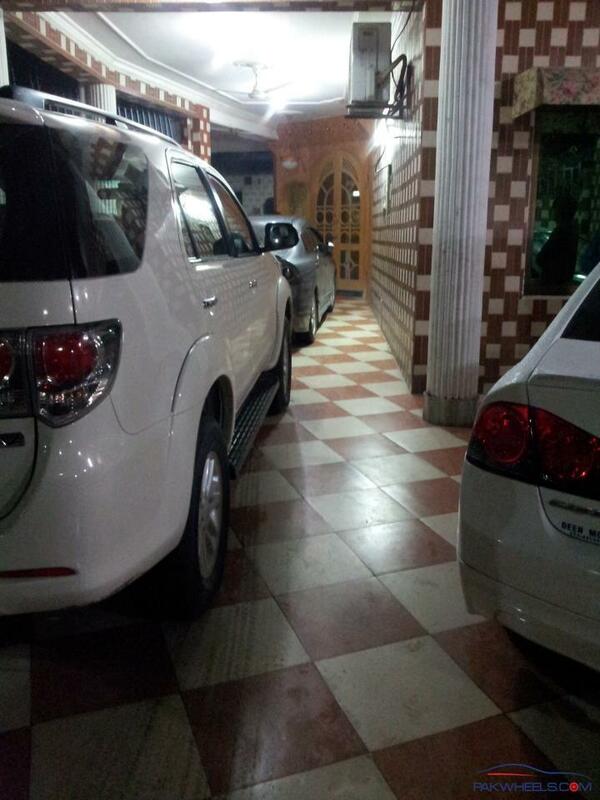 I saw 2 Fortuners in DHA, Lahore in one week; one is silver and other one in dark gray (Gun metallic). For some reason it didn't look good in both these colors and also looked small. I guess we are used to seeing Prados and LCs on roads most of the time. White and Black would probably look good. We'll have to wait until more people get deliveries. 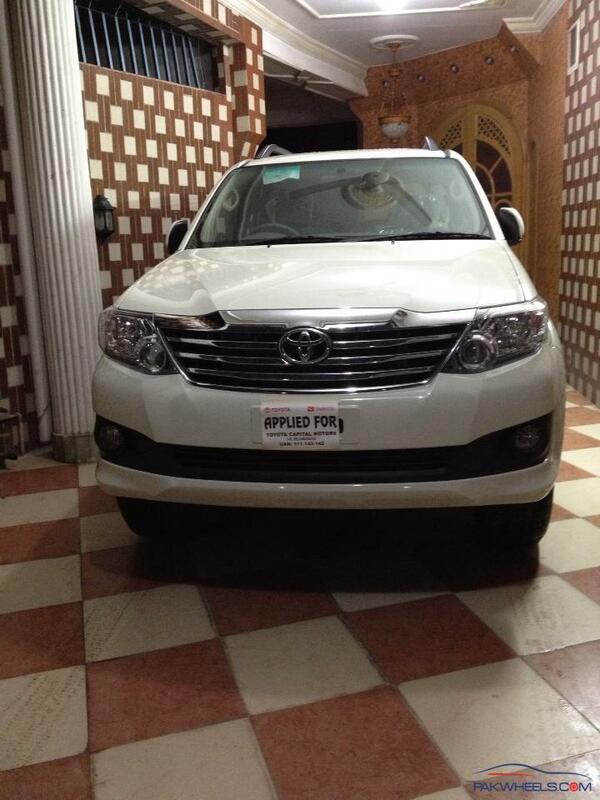 3.9 se 4.5 tk ki average ha iski... much less than an old 3.0 ltr prado.... i hav seen in 4 fortuners. That's an average you'd expect from a 5L engine. Is Toyota behind new technology? My 6L Escalade gave me 12 miles per gallon which is almost 4 km per Liter. 5.4L Navigator also has almost same average. People will always compare it to Prado and it can never be as comfortable and joy to drive like a Prado. Anyone who has driven or owns a Prado is never going to prefer Fortuner even if it is brand new. Since I have been thinking of buying a Mercedes I have been noticing a lot of C180s in DHA, Lahore area. It's the most popular car that I see in this area after Civic. I think I now see less Prados when comparing it to Mercedes on the road. It has become a popular car in the past one year or so and that's what I was talking about. IMC should have targeted this market segment. What I want to know is why we got the 65L tank and not the 80L?! 3litre prado wale b ye lekr pashta rhe hain....itni jldi flop hgai i cant believe. did anybody see many of these on the road? To be honest, I was asking myself exactly the same question today. Why I don't see any of these on the road, is it because Toyota still have these in production and couldn't deliver much or is it a flop already? Total number of Fortuners seen on road in 2 weeks is 3 and I am talking about DHA area. It also looks like that NCP scheme is also killing it's sales. People are going for bigger Land Cruisers at half the price. Poor Pakistanis, paying 5 million plus on this 3rd class SUV!!! The earlier Fortuner was available in 4 speed automatic transmission which is now replaced by a five speed automatic transmission box. The new toyota Fortuner comes with in the competitive price range of rs. 18 lac to 20 lac. As per toyota fortuner review, the interior of the car are elegant and stylish interiors. The safety that one can find in the new Fortuner are ABS with EBD with EBD, dual front airbags. Performance wise as well looks, toyota fortuner is a stunner. They should sell the single cabin hilux as a workhorse and the double cabin as a family budget SUV. With a Fortuner platform, suspensions, cabin interior and the hilux's D4d engine with the open bed; it would make one very capable ride. We stop looking for monsters under the bed when we realize they're inside of us. These guys are paid to do the reviews. None of the reviews sites are neutral. How do you think they make money from a site; of course it's sponsorship and Ads. May be what you said is true but by reading these reviews you should also take a test drive and decide whether the reviews are true or just fake. Only by two or three test on these reviews made you clear whether they are true or not. I think every review site is not fake, most of the reviews are genuine there on the various review sites. This review might not be fake but I have yet to find a big reputable review site that's not put for the purpose of making money. Being in the IT business I know for a fact that there's nothing called "free review". The word you're supposed to be using is 'biased' not fake or false. As for 4.4 mil, when you're getting ckd kits instead of manufacturing them over here through t.o.t; well then you can make up any number of stories to explain your high prices. People won't mind, care, or even bother to know why they're being made to pay almost twice the price than people in other countries for buying a lesser spec vehicle. It is sad but our lack of applied intelligence, height of ignorance of the world around us has given a few individuals in our society the (intellectual) power to take all of us for a ride on our money.